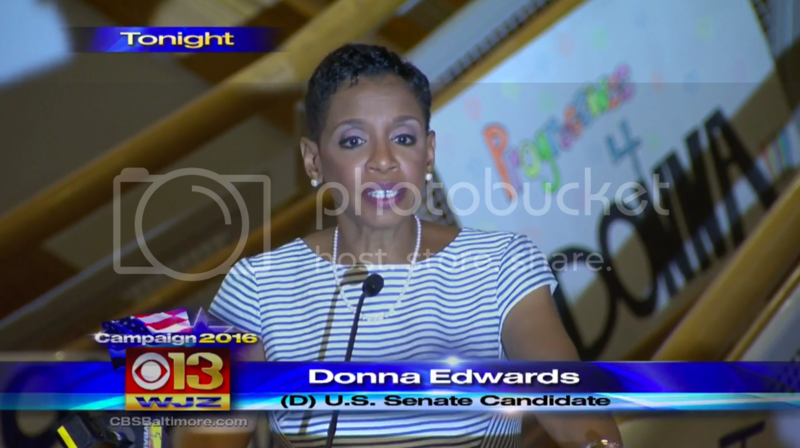 Donna Edwards campaign for the U.S. Senate came to an end on Tuesday after she lost the Democratic nomination for the U.S. Senate seat in Maryland that’s being vacated by retiring Sen. Barbara A. Mikulski after her three decades in office. Edwards conceded the race gracious, but not without calling out the white maleness of the party. "You cannot celebrate inclusion and diversity...you cannot show up in churches before election day. You cannot sing the first and last verse of 'Lift Every Voice and Sing.' You cannot join hands and walk across the Edmund Pettus Bridge. And call that post-racial and inclusion."